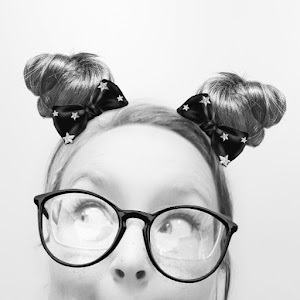 Mon...er, Tuesday's Weekend Recap - Nekaro & Co. I sent the kids to school this morning dressed and ready for a Monday at school. Never dawned on me that it was actually Tuesday until Kaia looked at me when I told her I didn't care what shoes she wore to school today and said, "But Mom, I have P.E. today. It's T-u-e-s-d-a-y...". Oh, silly me. Wear your sneakers then, I said. I love these long weekends, but they always leave me confused the following week. I did a bunch of things this weekend. It doesn't seem like much all condensed down on the blog, but I feel good about what I did get accomplished. I didn't rush through anything and that was something I was really struggling with. I always want to see fast results, but sometimes you just have to wait it out. I pulled out the pattern for the baby dolls that I would like to make for the bazaar. I would just like to say that I have serious issue with the person who developed the pattern paper. Why does all pattern paper have to be so thin that you can read through it?? Why?? The entire time I was trying to cut out the pattern I was terrified that I was going to rip it. I felt like I was trying to handle something much more fragile than paper. I had planned to get the supplies for making said baby dolls, but became overwhelmed with all the sewing lingo. 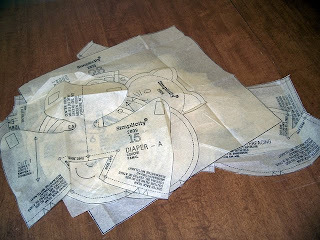 Double fold bias tape, interfacing, with nap, without nap.... I decided it would be best to go with my mom instead of going it alone. I'll look like less of an idiot to the sales lady. I do think I may be over my head with this little project though. I went on an Etsy searching spree. You know, just randomly searching for things. I found this great place for PDF file images for Scrabble tile pendants. 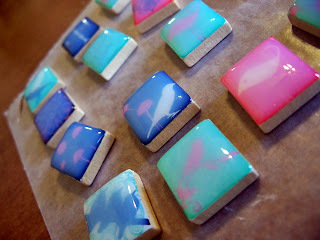 I tried to make these once before, but didn't have the correct resin for the glaze and they turned out absolutely awful. I bought the right stuff and gave it another try. I was pleased with the result and will soon have them for sale in my Etsy shop. Here's a peek. They were not completely cured yet so hence the cloudy finish. Now they are crystal clear after a 24 hour drying period. 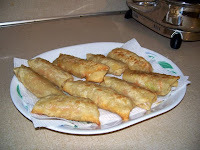 Egg rolls. We love some egg rolls. 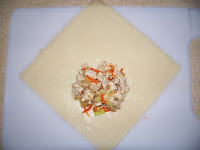 Unfortunately, the recipe that I have isn't exactly what we want it to be. There is a gas station/truck stop in town that has the best egg rolls. They don't make them there though. Theirs are frozen and we think probably come from Southern Foods. 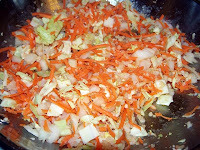 I had to use a food processor to chop up the pork because the grocer wouldn't grind it up for us. They said they weren't allowed to grind up pork. I have no idea why. I mean, they make ground beef back there, why not ground pork??? Here's the before, during, and after. All together it was nice lazy weekend. We lounged around, watched some movies (The Unborn, The Uninvited, and a couple more that I can't remember the names of...), played a little football, watched a little football... Good times were had by all. It's hard to believe that it's already Labor Day and the unofficial end to Summer. Just two more weeks until the first day of Fall. As a side note, I begging for egg roll recipes here. Send 'em in. I'll try every one of them, probably more than once, just to find the one that works for us.